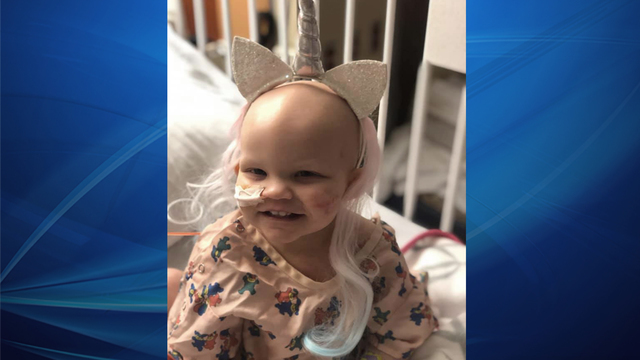 TAMPA (WFLA) - The parents of a toddler who is fighting stage four cancer are shocked after they said they received a hateful message from a stranger. Callie June is 18 months old and was diagnosed with advanced neuroblastoma that metastasized to her lymph nodes and bones. She is currently stage 4 and is currently on her 5th round of chemotherapy. A GoFundMe was created to help supplement the loss in income as Callie's parents Tiffany and Albree Shaffer have stayed by her side in the hospital. Callie's family says in a time like this, Callie needs love and support not hate and misery. In a recent update on Friday, Callie's parents posted that 98 percent of her tumor is dead. If you would like to donate to Callie's recovery fund you can do so here.